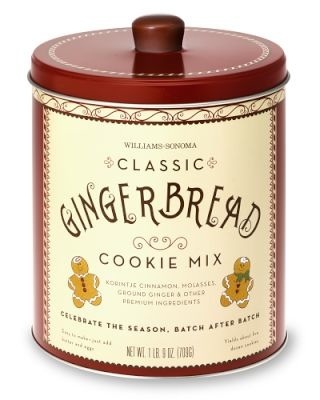 We were at the William Sonoma store a couple days ago and they just received the limited edition Gingerbread Cookie Mix in a super cute tin. The comforting aroma of fresh-baked Gingerbread is synonymous with wintertime celebrations so it is time to start the baking of Gingerbread cookies. 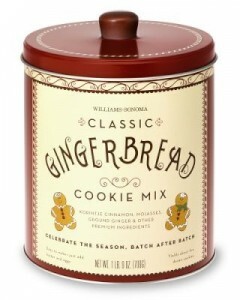 The cookie mix contains ingredients like fine-ground ginger, Korintje cinnamon from Indonesia, premium molasses and cloves. Preparation is easy enough for the entire family to take part: Just add butter and eggs. I plan to whip up a batch of these tasty treats this coming weekend – yummy.